We have a senior in the house! This has been such a stressful year to say the least. Looking at and touring colleges, applications, testing, traveling, etc. I had no idea how much work it is! Not only is it work for us, but it's even more work for our daughter Savannah. She has been accepted to the 5 colleges she applied too. She still has not decided which one, but the deadlines are approaching. 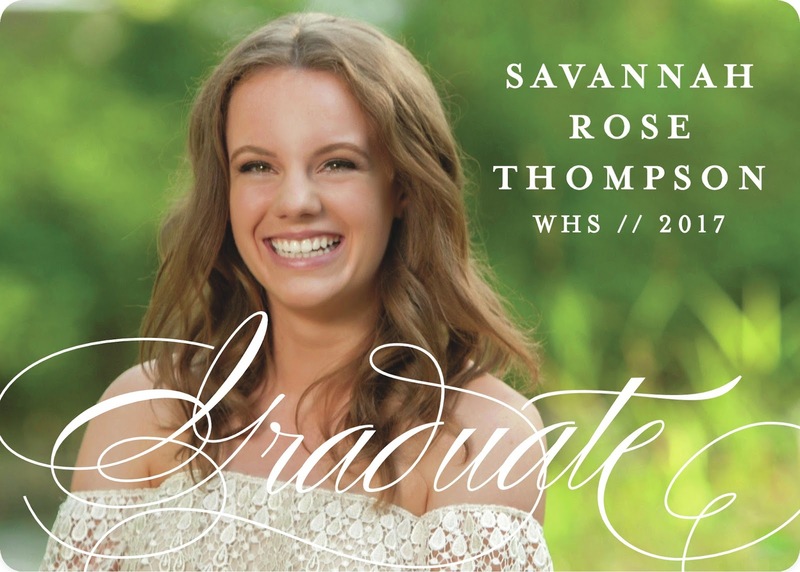 To keep things from getting to serious, we have been planning her graduation party and having so much fun doing so. I have to say, Savannah and I are pretty much best friends, and this party planning with her has been so much fun! We decided to host the party at our house, in our yard. It will be in June so I am hoping for sun. If not, we will have to bring in tents. The first thing up was to create her announcements. We knew I wanted Minted to create them, they truly are the best in my opinion. The quality is great, there are a ton of options to choose from, the shipping is fast, and the service is impeccable. I also have to say the fact that they print the address' on for you had me sold. 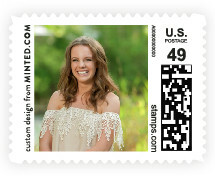 Savannah chose these gorgeous ones by Lauren Chism, and these stamps. The backside has another photo and a personal message from her. 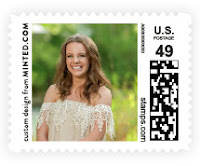 We also ordered save the date cards through Minted. These are the ones we chose, by Sara Hicks Malone. 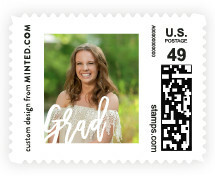 We did custom stamps on those too with the word Grad on them. They were just all shipped out and I feel so relieved, one thing off the checklist! The party is is June and I promise to update more of the planning and progress, as well as some DIY ideas as we go along. A scary yet fun time in life for sure. Looking forward to seeing the DIY's and how you decorate for the party. 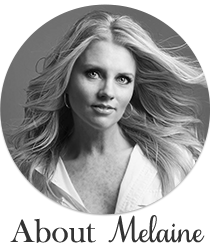 I find throwing parties at home can be difficult if you are trying to theme the party. Often my themes don't flow with my home decor. I can't wait to see your ideas for the party! I'm in the same boat but I'm slacking on planning stuff. Yikes, it's coming up so quickly! I too have a senior and graduate this coming June, I feel your stress and excitement. I'm enjoying doing and planning so much with my best friend/daughter too! Enjoy and congrats to your grad!